What Is Releve Joint Complex? Releve Joint Complex is a dietary supplement intended for those people experiencing joint pain and looking for a product that can boost their overall joint health. The supplement is suitable for both men and women and contains ingredients that provide joint support in the long run. The product’s primary claim is that it will help you with the pain you are feeling in muscles and joints. Releve Joint Complex can also help the repair of your cartilage and joints, as well as strengthen your bones and prevent their further deterioration. You can consume the product in the form of capsules. Who Is the Manufacturer of Releve Joint Complex? The manufacturer of Releve Joint Complex is Maximum Human Performance – MHP. They have been in the business for two decades and they are proud of delivering supplements that help out athletes throughout the globe. The company claims to be committed to the highest quality of manufacturing. According to their claims, each of their formulas is manufactured after an extensive research to ensure its maximum effectiveness. How Does Releve Joint Complex Work? Are you interested to know how Releve Joint Complex works? In that case, you should know that the formula contains only three active ingredients, but each of them was added for a reason. UC-II collagen plays a primary role in rebuilding cartilage, which can help to lubricate the joint and increase their motion range. Together with mangosteen, collagen may work on supporting proper joint function and preventing further deterioration caused by arthritis. When it comes to inflammation, mangosteen can also help to fight it while calcium will promote your overall bone strength and health. Releve Joint Complex Ingredients – Are They Safe & Effective? Mangosteen Fruit Extract – This fruit has numerous medicinal properties, including antioxidant, antitumoral, and anti-inflammatory characteristics. Thanks to that, it can help to provide joint pain relief and promote general joint health. Calcium Fructoborate – We already know that calcium is an essential mineral for the human body, especially bone health. However, it is this particular form of calcium derived from fresh fruits and veggies that can also promote both bone and cardiovascular health. UC-II Standardized Collagen – A compound that plays a role in forming of the cartilage tissue. By repairing and helping to regrow cartilage and lubricate the joint, this component can play a fairly important role in providing joint pain relief and treating arthritis. Magnesium Stearate – This is an inactive compound that has a role of being a flow agent in this formula. Rice flour – A substitute of wheat flour that is free of gluten. It is not an active component and it is used in making the capsule. The remaining two inactive compounds are silica and Hypromellose. What Are the Advantages of Releve Joint Complex? What Are the Disadvantages of Releve Joint Complex? How Should You Take Releve Joint Complex? The label indicates that you should start with one capsule of Releve Joint Complex daily. If it is necessary, you may increase the dosage to two pills, but make sure to take the second one later during the day. The maximum recommended dosage is set at two capsules. How Much Does Releve Joint Complex Cost? According to the official website, the retail price of the product is $39.99, but at this moment you can purchase one pack of Releve Joint Complex for $27.99. What Is Releve Joint Complex’s Return Policy? When it comes to the return policy for Releve Joint Complex, it is valid for a total of 30 days from the buying date. During that time, you are eligible for a full refund if you return the product in its original condition. In case you open the product, you may still expect store credit when you return the item. Does Releve Joint Complex Offer a Free Trial? At this moment, we are unaware of any free trial that exists for Releve Joint Complex. 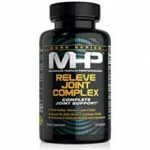 If you are looking for a supplement that could provide joint and muscle pain relief, you can consider Releve Joint Complex. Its most obvious downside is that a single bottle lasts only 15 days at the maximum recommended dosage. The product is particularly focused on joint health and supports it in the long run, but the bone strengthening effectiveness may be somewhat limited. Those interested in purchasing the Releve Joint Complex will be glad to know that the product contains collagen, which works to rebuild cartilage and increase joint mobility. Unfortunately, the supplement only contains three active ingredients and lacks glucosamine and chondroitin, which are popular additions in joint products and can boost its effectiveness. Ultimately, it is completely up to you which joint pain product you want to purchase. However, in order to make the right decision, you may want to inspect all options currently available to you. Take a good look at other joint supplement reviews and check all their features to make sure that the chosen product will meet your expectations.